This is how the car rolled in the shop. 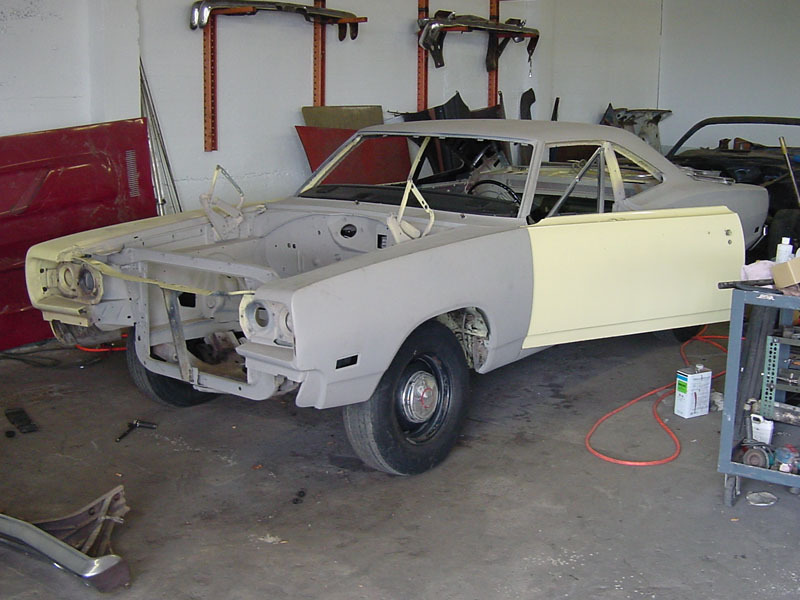 Its a numbers matching 1969 hemi 4-speed Super Bee that the previous owner started stripping in the early 1980's. It sat untouched for many years until the new owner brought it to our shop for a full restoration. Since completion the car has been sold several times for record-setting prices.